The Alpine Ace Outfit in Fortnite BR. You can purchase this costume from the Item Store for 1,500 vbucks. 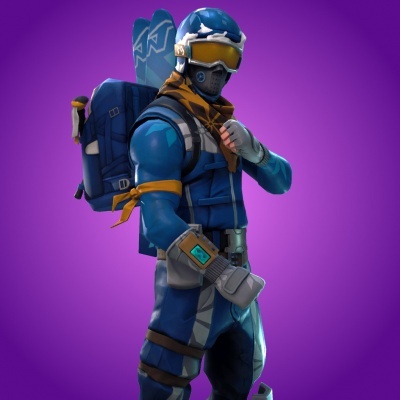 Alpine Ace is the name of one of the outfits in Fortnite Battle Royale. Released to commemorate the South Korea 2018 Winter Olympics. The top eight countries that had the most Fortnite players got their own skin It is part of the Winter Ski Set. This outfit is considered a "customizable skin" (pick your style) as it has 8 different variations, representing various nations. There also is a female character version for this outfit, it's called: Mogul Master. Buy this skin from the Cash Shop.